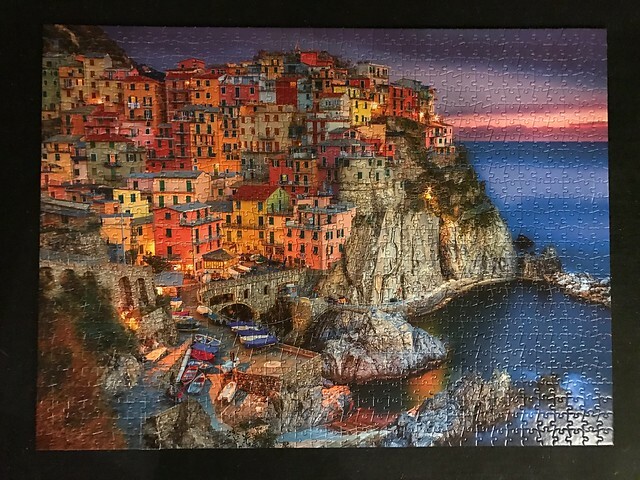 While we were at Sea Ranch, Phil, Sharon and I did most of a Cinque Terre puzzle. Sharon and I finished it up last week after we got home. Morgan, Jack, Sharon and I visited Manarola when we were in Italy in 2012.